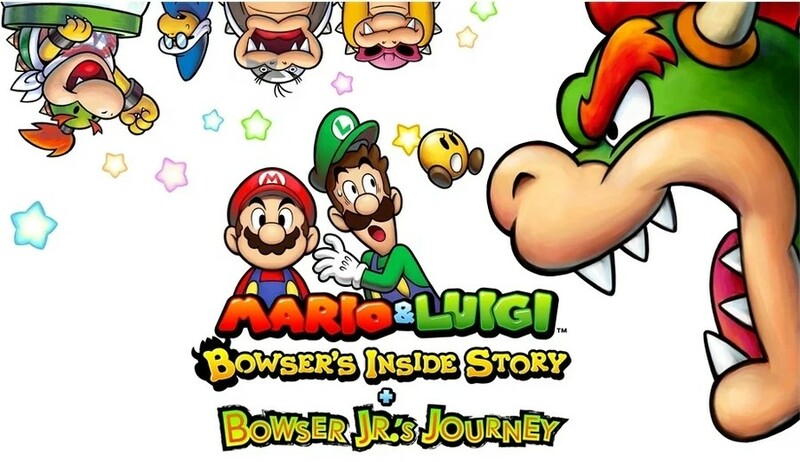 When Mario & Luigi: Bowser's Inside Story + Bowser Jr.'s Journey was released on the 3DS last month, some users encountered a game-breaking bug. If you lost Mario from your party in the Nimble Woods area of the game and then went back a screen to save your progress, the game would glitch out and Luigi would be unable to move beyond this section. YouTube and Reddit threads pointing out this problem were posted, with one player revealing they had lost 15 hours of progress. Have you encountered this issue? Will you be buying this game now that this problem has been resolved? Tell us below. It's nice that players who have gotten stuck there won't have lost all their progress. If they hadn't already started over entirely, that is. Huh. No idea something like this had happened, I haven't gotten the game yet. Nice to see Nintendo fixing stuff, they care for quality. Wow! I just found yet another glitch that involves the music menu. It only occurs after you update to the new version. If you try to play any of the songs from the original, they don't play. After you try to play these, the new ones also don't play until you reload the menu. I feel like taking a Saturday afternoon and putting in all of my 3DS carts to get the updates. They aren't big and don't take long to download. Keep my games playable in the future when the eShop eventually goes down. Wow that is weird! Nintendo rarely misses game breaking bugs like this! I wonder if someone is gonna get fired for missing this. And I guess this will involve the tedious process of downloading anything to the 3DS. When I do it I always feel like I'm doing something wrong. I'll have to unseal it now, despite I'm not playing it until next year at least, because if they close servers at some point it will be impossible. Been waiting for this so I can get back to playing as I think I'm close to where it occurred. I'm back on the Diablo grind having never actually doing the whole campaign despite owning it for free when it first dropped on battle.net (yay for free copy via wow) many moons ago. Almost done with act 5 then I'll take a break and finish this game. Too many games, so little time! @Heavyarms55 I doubt it. Bugs do happen! That's no excuse for shoddy quality software, lack of testing etc but things do slip through the net. I wonder if this update also fixes the "Bitties" typo when you're using the shop blocks. It's supposed to be "Blitties", not "Bitties". @Nintendofan83 3DS Game updates actually update the cart? Are You sure? @RandomNerds Technically he didn't say the cart would get updated, he just stated he'd use the cartridges to update the games. The quickest way to update a game is to stick the cart in the slot. Patches are stored on the SD Card. Too bad they were never able to fix that Dream Team exploit. It’s a hassle to this day trying to redownload it from eshop. @DanteSolablood Point taken. I just wanted to be sure because I always thought that it was stored on the SD card which you confirmed it is, I wanted to be sure I had that right. It would be awesome if the carts could be updated, I'd buy way more physical copies, but obviously that would leave them vulnerable to hacking. I tried to update and there was no update for me?